She Didn't Have Friends. She Had Pocket Monsters. 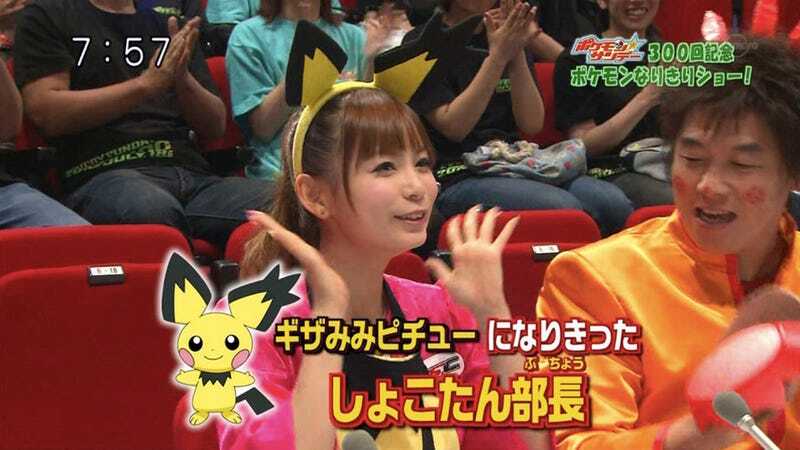 Ever wonder why nerd heroine Shoko Nakagawa is the queen of Pokémon? Because growing up, she was lonely. Very, very lonely. "When I was a kid, I didn't have friends," Nakagawa recently said at press event. "But I did have Pokémon." Nakagawa has previously discussed her experience with bullies in junior high school. "Thank you so much Pikachu!" Nakagawa said. Since 2007's Pokémon: the Rise of Darkrai, Nakagawa has been involved in every Pokémon animated film. This summer, she has two roles in the upcoming Pokémon movies.